Field transportation is provided by experienced guides in radio-equipped vehicles. Guides pick up, weigh and dress all game. Daily records are kept and guides check these records along with weather conditions and wind direction before each hunt to make sure hunters have the best chance of seeing game. Walk-in coolers are available to store game until departure. Morning stands are 12 foot ladder stands in strategic locations such as trails, creek crossings and acorn flats. Afternoon hunts are usually over one of the 200 green fields that Bent Creek plants with wheat, rye, clover or a combination of winter grasses. In the afternoon gun hunters shoot from weather-proofed ground blinds that are strategically placed for maximum coverage of the fields. Shots may range from 125 to 300 yards. The deer season in Alabama is very generous. Bow season usually opens around October 15th and gun season opens in mid-November. Both seasons run until January 31st. The limit is one buck per day or three per year. In addition, hunters are allowed to harvest one doe. From mid-March until late April Bent Creek offers the challenge of eastern wild turkey. The excellent habitat and professional wildlife management have helped Bent Creek maintain an above average turkey population. 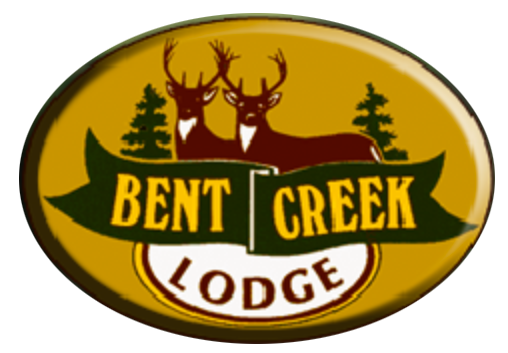 The turkey hunting guides at Bent Creek are truly among the best in the world. The guides are not only the best at calling spring gobblers, but are also experts in turkey hunting tactics. A turkey hunt at Bent Creek is an experience you will never forget.